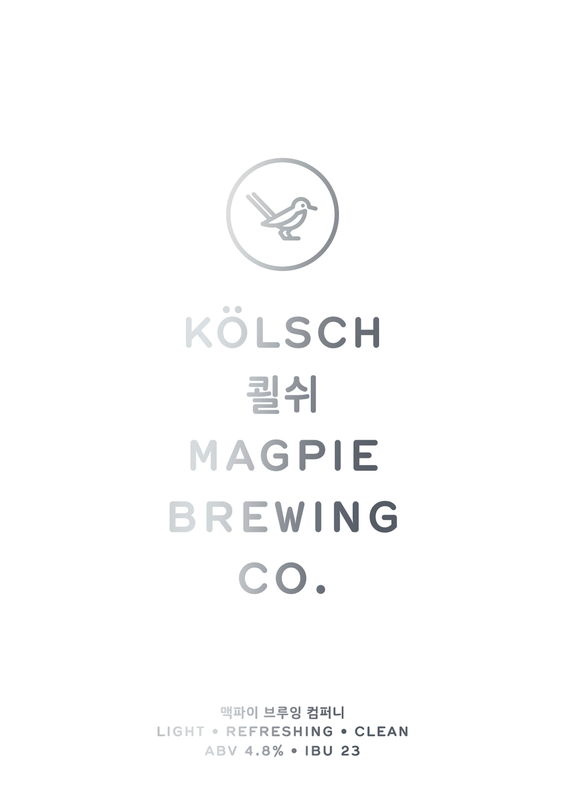 KOLSCH — Magpie Brewing Co.
독일 쾰른 지역에서 맨 처음 양조되었다는 황금빛의 콜쉬. 라거공법으로 숙성, 재료의 풍미가 고스란히 느껴지면서도 쓴맛이 적어 라거를 찾는 이들에게 적합. 특유의 꽃향과 라이트한 바디감으로 금세 잔이 비워지는 신기한 라거스타일의 에일맥주. Magpie Kölsch is brewed in the traditional style from Köln, Germany. A hybrid beer and the first non-ale Magpie made, this thirst-quenching light-bodied beer is for the craft beer beginner who's ready to venture beyond lagers.